We offer the best and most comprehensive laundry & dry cleaning services at the most affordable price in Singapore! Please Contact Us for FREE QUOTATION! We have a wide variety of Laundry and Dry Cleaning Packages for our customers! We offer the most comprehensive Household and home laundry services at the most competitive and affordable price! 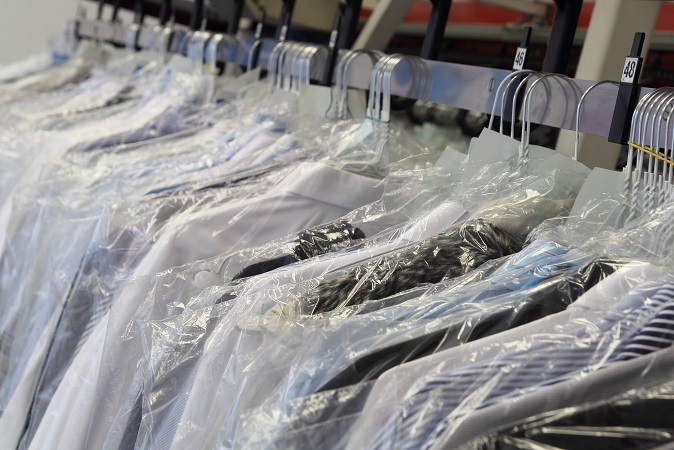 We have a whole suite and packages of Corporate and Business Laundry and Dry Cleaning services! If you have any questions to our Laundry and Dry Cleaning Services, Please do not hesitate to contact us! 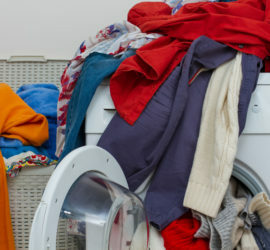 Laundry is one of the most challenging tasks that many people are often faced with. This is because; doing laundry usually requires a lot of time and effort, which most people rarely have. To some, finding adequate space for drying clothes after cleaning is another hindrance, which makes it hard to do laundry at home. Without someone to take proper care of your laundry, it is quite easy to wake up one day only to find out you do not have any clean clothes to wear to work. And, that could be very annoying and inconveniencing. To easily avoid all the hassles of doing laundry, hiring professional laundry and dry cleaning services is the best way to go. 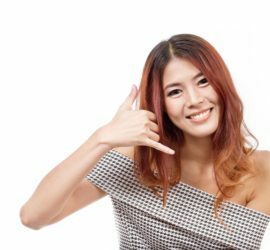 Despite the large number of laundry and dry cleaning service providers in Singapore, not all are reliable. Laundry Service Singapore is the ideal laundry and dry cleaning service provider in Singapore that you can trust to properly clean all your clothes, bed sheets, linens and other fabrics at your own convenience. At Laundry Service Singapore, we specialize in professional laundry and dry cleaning services for both homes and commercial establishments in Singapore. In our work, we are always keen on all-inclusive, affordable and reliable services that will enable you get all your laundry needs met in one fold for the ultimate satisfaction. Carpets and rugs are among the most difficult fabrics to clean but, you do not have to go through such hassles anymore. At Laundry Service Singapore, we offer professional carpet and rug laundry shampoo and washing services to help you keep all the pieces in your living spaces spotless and fresh for enhanced comfort and longevity. Despite the kinds of materials that your curtains are made of, our personnel have the best cleaning supplies and technologies for convenient curtain laundry and dry cleaning services. We can effectively clean all the curtains in your home just the way you want them and, also at your own convenience. Upholstery is one of the most commonly neglected areas when doing household laundry. And, this only puts them at greater risks of quick wear and tear, which could be quite costly. But, you can now easily preserve the lustre of all the upholstery in your furniture and other decor accents with our upholstery laundry and cleaning services. Unlike washing clothes, mattress cleaning requires skills and special technologies, without which, you could easily end up damaging the fabrics. At Laundry Service Singapore, we have trained laundry personnel and innovative cleaning technologies to always provide professional mattress cleaning and laundry services. Considering the fluffy nature and relatively larger sizes of bedding, cleaning them is not usually easy, even if you have the time to do it. But, that should not be enough reason to neglect cleaning your beds’ accessories. Our company also offers professional bedding linen cleaning and laundry services to help you maintain the appeal and hygiene of your bedroom. We understand there are several other beddings that you may also have in your bedroom. For the most efficient bedding cleaning Singapore, get in touch with us. If you have stuff toys, which your kids use from time to time, cleaning them is always important in ensuring they do not accumulate dirt and allergens that could impact infections on kids. And, Laundry Service Singapore is the right place to visit for professional stuff toys laundry and dry cleaning services. Our personnel can still do laundry for any other traditional wear that you may have besides the ones listed above. We can help you preserve the appeal of all your traditional garments with the least effort and, also at your convenience. At Laundry Service Singapore, we also specialize in professional winter wear laundry and dry cleaning services for various kinds of clothing for the cold seasons. Through our unique garment laundry skills and technologies, we are always able to deliver highly efficient and convenient winter wear laundry and dry cleaning services. In case you may have other unique winter wear not mentioned above, we can still deliver outstanding laundry and dry cleaning services to keep them clean and in proper condition. This will ensure you are never troubled with what to wear whenever the cold season sets in. Compared to other common types of clothing, linen garments are very sensitive and, require special cleaning procedures and supplies. To avoid causing unnecessary damage to your linen garments during cleaning, simply get in touch with us for professional linen garment laundry and dry washing services. Gowns and robes are usually crafted with fluffy and exquisite features, which can be quite difficult to effectively clean, especially when you are in a hurry. Through our gowns and robes laundry and dry cleaning services, you can now have all your robes and gowns cleaned professionally and delivered right on time so you are never inconvenienced. At Laundry Service Singapore, we serve a wider clientele base that goes beyond just the residential setting. If you operate a business or institution where workers are required to wear uniforms, we can also help with doing their laundry at your convenience. 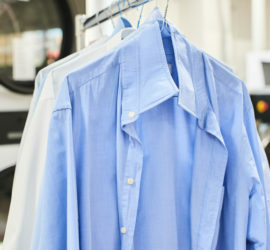 Talk to us for the best uniform laundry and dry cleaning services Singapore. Mascots and costumes are important tools for promotion, which can help you effectively, create awareness for your brand. Since they are worn by people and, do not usually come cheaply, the best way to keeping them in top notch condition is through proper cleaning. And, our company is the right partner for professional mascots and costumes laundry and dry cleaning. If you work in an office, clean and proper clothing is always mandatory. Even if you only have just a few official clothes, it is always required that they are kept clean at all times so you are never inconvenienced whenever you need to get to work. With our office clothing laundry and dry cleaning services, you have professionals to take care of all your laundry needs so you can fully focus on your job. Besides suits and shirts, pants and trousers, skirts and dresses, we can still provide laundry and dry cleaning services for other kinds of office clothing. We understand laundry is a procedure that usually involves a wide range of activities. Besides, people have varying needs when it comes to doing laundry. As such, we strive to deliver tailor made laundry services for every individual, business and budget. Our company has a comprehensive laundry services portfolio to effectively serve you at your convenience. Regardless of the particular laundry service that you need, our company works round-the-clock to ensure that you always get the best at your own convenience. We have adequate personnel and equipment to effectively serve all our customers across Singapore. Since we independently handle all our tasks, you are always guaranteed highly reliable laundry services. Doing laundry for clothes and fabrics used in commercial establishments is not only overwhelming but, could also cause health risks since they are used by different people in varying conditions. And, that is the main reason it is always advisable that you hire a professional commercial laundry services. Despite the quantity of the fabrics or urgency of using them, our company will make sure all your needs are ultimately met. Even if you own any other kind of business not listed above but, require commercial laundry services, do not hesitate to contact us. With clean fabrics in your establishment, even customers will feel more comfortable visiting, hence, significantly growing your profits. Under corporate laundry, we also cater for a wide range of businesses and institutions. To enhance the visual appeal of your organization, we can help with doing all the laundry work for both employees and assets. Through our corporate laundry services, you will also be able to keep your assets in proper condition, thus, cutting down the high costs of frequent maintenance and overall operations. Even if the company or business that you are involved in is not among those we have listed above, simply talk to us for professional corporate and business laundry services. We operate throughout Singapore and, are always ready to deliver the best laundry services for all kinds of organizations and businesses. Industrial settings are often busy with a series of activities, which makes it very hard do laundry. However, it should be noted that without proper laundry, even your employees’ morale will be negatively affected. Regardless of the particular industrial operations that you are involved in, having clean fabrics therein is always important in creating a serene work space. At Laundry Service Singapore, we are the experts in industrial laundry that you can trust to effectively take care of all the clothes and fabrics used by workers in their operations. By having us handle all your industrial laundry needs, you and your workers will have the time to fully concentrate on your core activities for convenience. Most people and businesses have shied away from hiring laundry and dry cleaning services on the assumption that they can do their laundry on their own. However, such are assumptions that will only drive you into desperate situations. Instead of running up and down in search of someone to do your laundry at the last minute, simply contact us. In every laundry and dry cleaning service that we offer, we are always keen on using the best quality products and techniques proven effective. Besides our trained laundry personnel, we also apply innovative fabric cleaning technologies, hence, unrivalled efficiency and convenience in every task. Due to our experience in laundry and dry cleaning, we always provide tailor made cleaning solutions based on the materials of the fabrics, unique customer demands and budgets. We do not only focus on cleaning but, also preserving your clothing and fabrics in the best conditions over time. Whether you need household laundry, garment laundry, laundry services, corporate laundry, commercial or industrial laundry, we will ensure all your items are gently and effectively cleaned and, returned in the best shape. Owing to the varying customer needs when it comes to laundry and dry cleaning, we emphasize on comprehensive services that cover all aspects. Besides just doing the laundry, we can pick up your clothes from home, office or business and, also drop them off on completion. This will not only save you time but, money too. By obtaining laundry and dry cleaning services for your household, office and business from one entity, you are guaranteed amazing offers that could save you a lot of money on the side. Through our pick up and drop off laundry option, we will also help you avoid the hassles of visiting laundry laundromats, thus, peace of mind. At Laundry Service Singapore, we also have very competitive rates so you do not end up breaking the bank just to have your laundry done. For regular customers, we offer subsidized rates that will help you save quite a lot of money in the long term. In fact, we can even prepare a laundry and dry cleaning service quotation that specifically suits your budget. In our work, customer satisfaction is always held in the highest regards. And, that is why we offer flexible laundry and dry cleaning services, tailored to the specific needs of every client. It is only with us that you are guaranteed the best laundry and dry cleaning services whenever and wherever you need them in Singapore. Since we provide express, monthly and contract laundry services, there is no doubt all your needs will be effectively met under one roof and, at your own convenience. Get in touch with us today for the best laundry and dry cleaning service Singapore.